Holding that there is no inconsistency in the Supreme Court Rules (SCR) and the Right to Information Act, the Delhi High Court on Tuesday held that access to the information under the SCR, which includes right of inspection, search of copies would all be judicial functions of the Supreme Court which is not covered under the RTI Act. Justice Manmohan also held that RTI Act cannot be resorted to, in case the information sought related to judicial function, which can be challenged by way of any legal proceedings. The court’s judgment comes on a petition moved by the Registrar, Supreme Court, against the decision of the Central Information Commission dated May 11, 2011, passed in Appeal filed by one RS Misra. The court also deprecated that in the instant case, the RTI applicant had written letters to the judges of the Supreme Court asking why his petition etc., were dismissed. Misra was holding the post of Postgraduate Teacher (Chemistry) in Kendriya Vidyalaya and his services were terminated by the Commissioner of KVS under Article 81(b) of the Education Code in November 2003. He had challenged the termination in Central Administrative Tribunal which came to be dismissed. His petition in the high court and appeal in the apex court also failed. Thereafter, he sought information by way of an RTI application dated April 20, 2010, as to why his SLP had been dismissed while contending that the same had been decided against the principles of natural justice. The review petitions were also dismissed. That is not all. He went on to write letters to the judges of the apex court when they were seized of his case in their judicial capacity. The CIC had allowed the appeal of KS Misra directing the Central Public Information Officer, Supreme Court of India, to answer the seven queries raised by him revolving around action taken on his case and status of his petitions and letters he had written to the Chief Justice and other judges. While allowing the petition moved by the SC Registrar, the high court said, “A Judge speaks through his judgments or orders passed by him. A Judge cannot be expected to give reasons other than those that have been enumerated in the judgment or order. If any party feels aggrieved by the order/judgment passed by a Judge, the remedy available to such a party is to challenge the same by a legally permissible mode. “No litigant can be allowed to seek information through an RTI application or a letter on the administrative side as to why and for what reasons the Judge had come to a particular decision or conclusion. A Judge is not bound to explain later on for what reasons he had come to such a conclusion. “The CIC should not have directed the petitioner to supply information, without considering whether the queries raised were maintainable under the RTI Act. This court is of the view that where there is no information to be given or the applicant is seeking non-existent information or where the query is inherently absurd or bordering on contempt, like in the present case, the CIC should not have directed the petitioner to supply information,” Justice Manmohan said. The high court also concluded that there is no inherent inconsistency between SCR and RTI Act. “Both enable the third party to obtain the information on showing reasonable cause for the same. “Not only that, the SCR is more advantageous with regard to charges and time for delivery of copies than the RTI Act. Consequently, it is incorrect to state that the RTI Act would prevail over the SCR,” it said. The court agreed with the argument of senior advocate Siddharth Luthra, who contended that access to documents filed on the judicial side can only be obtained through the mechanism of Supreme Court Rules and that the provisions of the RTI Act cannot override the SCR. He also submitted that there is no inconsistency between the SCR, 1966 and the RTI Act, 2005 as SCR have been framed under Article 145 of the Constitution of India and they provide for regulating the practice and procedure of the Court and have the effect of law and SCR provide for a mechanism for inspection and search of pleadings on payment of prescribed fees under Order XII. According to him, as it was open for the respondent (Misra) to obtain certified copies of the order sheets, the CIC was not justified in directing the petitioner to furnish copies of the same free of cost. Justice Manmohan also held that “the judicial functioning of the supreme court of India is separate/ independent from its administrative functioning. The dissemination of information under SCR is a part of judicial function, exercise of which cannot be taken away by any statute. The SCR would be applicable with regard to the judicial functioning of the Supreme Court, whereas for the administrative functioning of the SC, the RTI Act would be applicable”. “In the opinion of this Court, the RTI Act cannot be resorted to in case the information relates to judicial functions, which can be challenged by way of an appeal or revision or review or by any other legal proceeding,” he added. 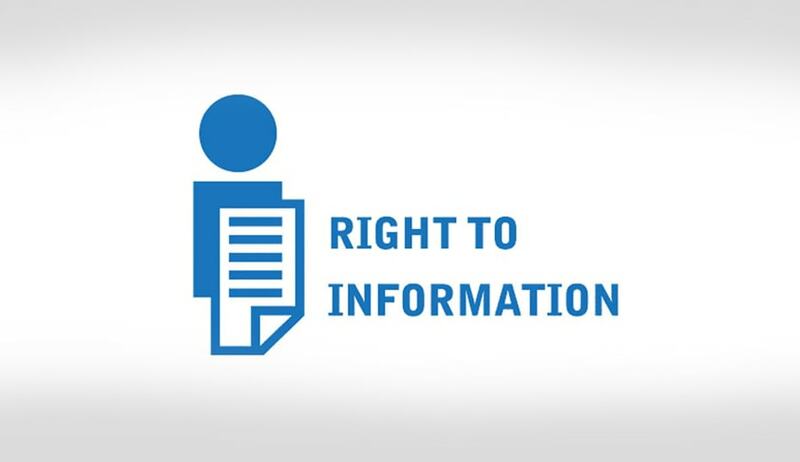 “The right/access to the information under the SCR which includes right of inspection, search of copies would all be judicial function of the Supreme Court, therefore such information would not be covered or contemplated under the RTI Act,” said Justice Manmohan. The court said it is settled legal position that the legislature is not competent to take away the judicial powers of the court by statutory prohibition. The legislature cannot make law to deprive the courts of their legitimate judicial functions conferred under the procedure established by law. The court concluded that since there is no inherent inconsistency between the SCR and the RTI Act, the latter does not override or prevail over the former. The court agreed with the submission of the advocate Ramesh Singh, amicus curiae, that even though Article 145 of the Constitution of India starts with the phrase “subject to the provisions of any law made by Parliament”, which phrase has been interpreted to mean that Parliamentary law would prevail over Rules framed under Article 145, which Rules will be subservient to the, then also it cannot mean that the RTI Act (a Parliamentary law) will prevail over the power of the Court to decide on dissemination of information, inasmuch as Rules made under Article 145 are in aid of the powers given to the Supreme Court under Article 142 to pass judicial orders.